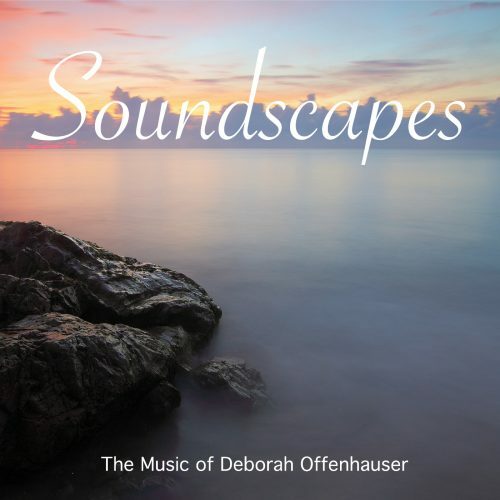 “Soundscapes” is a new album from longtime, treasured artist and composer Deborah Offenhauser. “Soundscapes” is an album of eclectic music at its best! This collection of contemporary instrumental pieces range from jazz to neo-classical and from new age to world music. You’ll want the entire album to savor and listen to over and over again. Flutterbys, her joyful new piano recording! 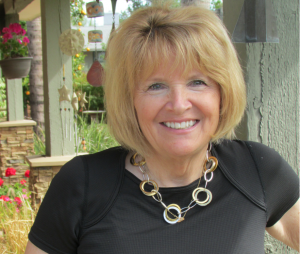 If you’ve been to a national touring Broadway Show, you might have heard Deborah playing the keys for shows such as “Mama Mia”, “The Producers”, “Hairspray” or “The Full Monty”. Or, if you saw The Irish Tenors or The Moody Blues in concert, you might have seen Deborah performing with them in front of crowds of 12,000 people. Or, perhaps you caught her on stage with other well-known artists such as Michael “The Phantom” Crawford, and Michael Feinstein (along with the Phoenix Symphony). Deborah’s sensational talent is showcased on her solo piano albums, which range from soulful and inspirational to peppy and finger-snapping. Her original compositions feel right at home with the well-loved standards that Deborah has included on her recordings. And, Deborah’s Piano Concert-Show, “Let’s Go to the Movies,” continues to delight every audience that has experienced it. “Slow cooking makes delicious music meals. You now have given birth to a new treasure for the world to enjoy. Your music and talent is great. "—Suzan Bader of DSM (Decidedly Superior Music) Publishing Company"